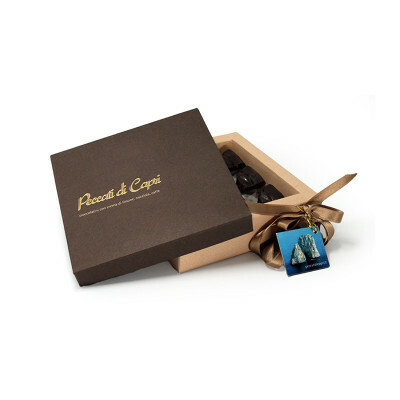 Box with 9 small Chocolate Faraglioni (sea stacks) with mixed filling flavors (3 Amalfi limoncello/lemon cream, freshly roasted coffee or Avellino hazelnut cream). 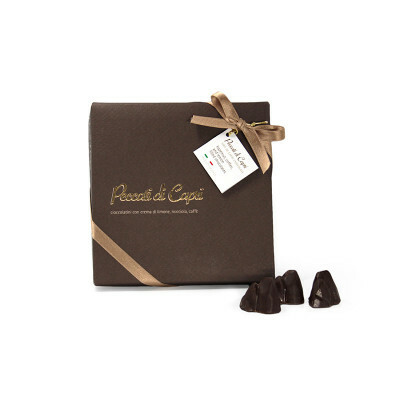 Outside (plain chocolate): sugar, cocoa paste, cocoa butter, lecithin, natural flavours, cocoa (50%). Inside hazelnut: sugar, hazelnut paste, hydrogenate fats, skimmed milk, emulsifier lecithin, natural flavours. 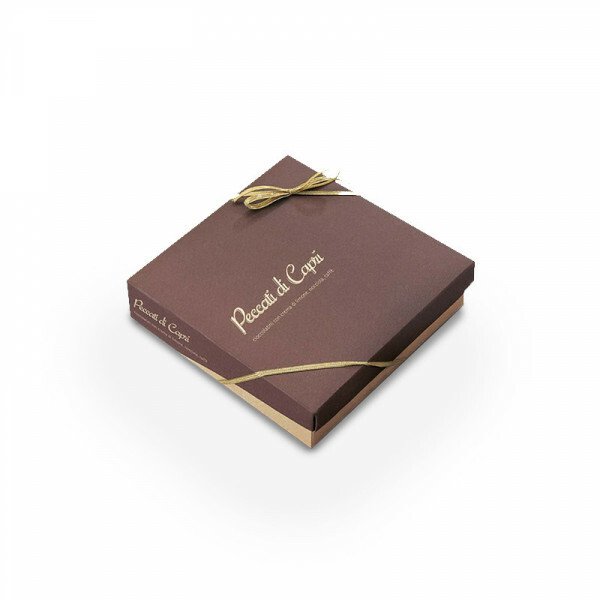 Inside coffee: sugar, coffee paste, hydrogenate fats, skimmed milk, emulsifier lecithin, natural flavours. Inside lemon: sugar, hydrogenate fats, skimmed milk, lemon liquor, monoglycerides, lecithin, natural flavours.